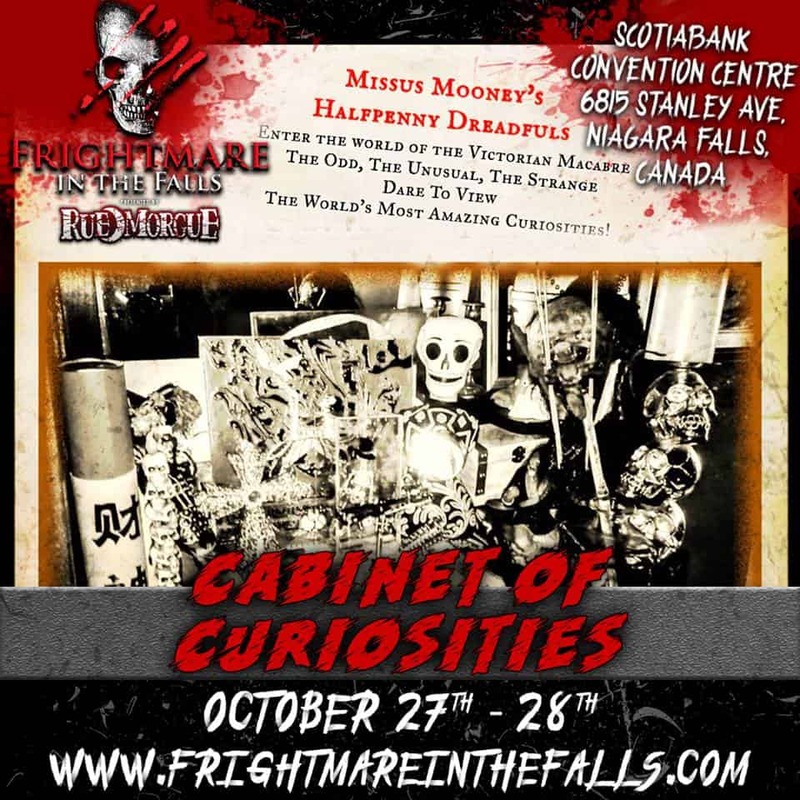 ‘The Spiritorium’ – our authentic Cabinet of Curiosities – returns to Frightmare in the Falls as a featured attraction! Join us for two terrifyingly awesome days at one of the most intimate and interactive Horror Festivals in North America! Strange, creepy and possibly horrific…are you brave enough to enter? Of the many celebrities appearing this year, we must make special mention of Brett ‘The Hitman’ Hart…when you visit us, ask us why! When: Saturday, 27 Oct. (11 am – 6pm) & Sunday, 28 Oct. (11 am – 4 pm). * The Cabinet of Curiosities is FREE with your admission – as are all attractions & vendors! ** Ages 17 and under must be accompanied by an adult. NOT RECOMMENDED for children under age 13. This event features more than 50,000 square feet of all things horror including celebrities, attractions, displays, movie cars, and more than 30 vendors with memorabilia, clothing, props, autographs, cosplay, special effects & much more!